Carl Victor Glorioso. Twenty years of Hair, Fashion and the Performance Industry. 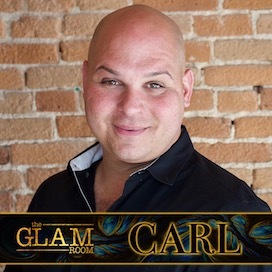 Carl began his career in Cosmetology right out of high school. After completing his education he worked at the Dillard's Salon where his clientele began to build. He soon moved on to other Salons to learn all he could about the business and what it would take to be the best in the business. His youth, creativity, determination and passion is a remnant of where he is today as a top stylist who specializes in chemical services and hair extensions and is a successful and happy business owner of 10 years and going strong.